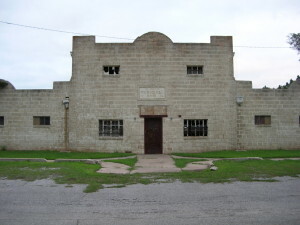 The El Reno Municipal Pool Bath House, constructed in 1935 in Legion Park, the city’s largest recreation area, represents an historical pattern within the context of Recreation/Entertainment for El Reno, Oklahoma. Legion Park was the second of six city park projects developed in the years 1901-1949. 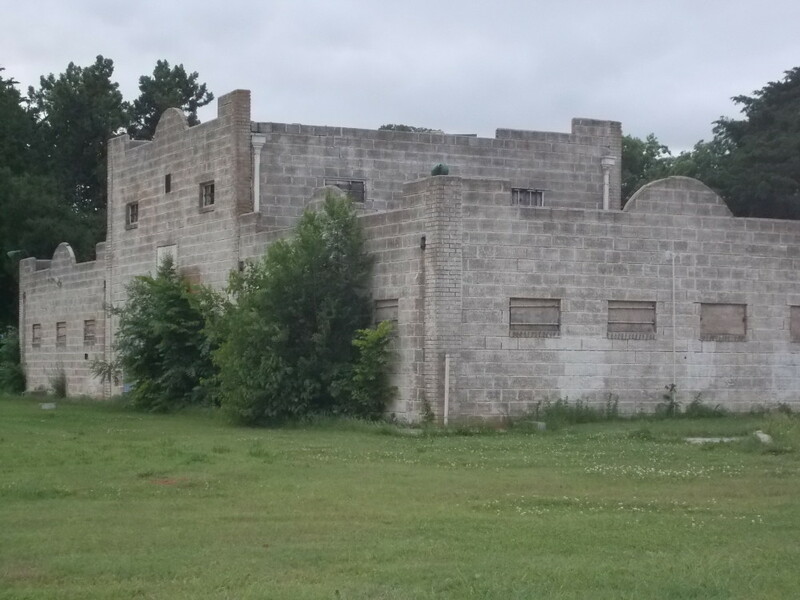 Legion Park, formerly Peach’s Park, had initially been privately developed c. 1903 but was allowed to decline even after the city acquired the property in 1920. The area remained relatively undeveloped until the inception of the pool project in 1933-34. 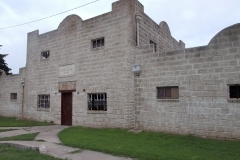 The pool and Bath House were funded by city bonds, totalling a $25,000 expenditure, and by FERA funds, totalling $12,000. City workers and local FERA workers combined efforts to build the pool complex, with FERA labor used for excavation of the pool. 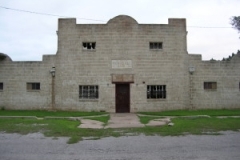 The pool and Bath House opened June 1, 1935 and provided the citizens with their first public swimming pool. 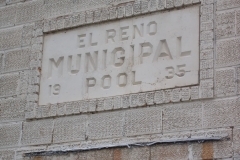 The municipal pool complex remained the city’s premier recreation facility for El Reno citizens until 1991. 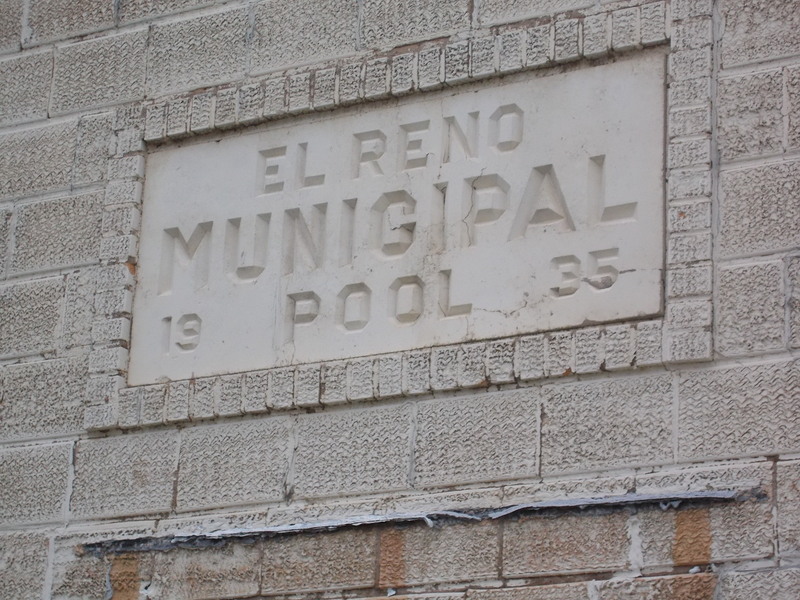 The El Reno Municipal Swimming Pool Bath House and the associated swimming pool area represent El Reno’s early commitment to providing safe public recreation and entertainment areas. 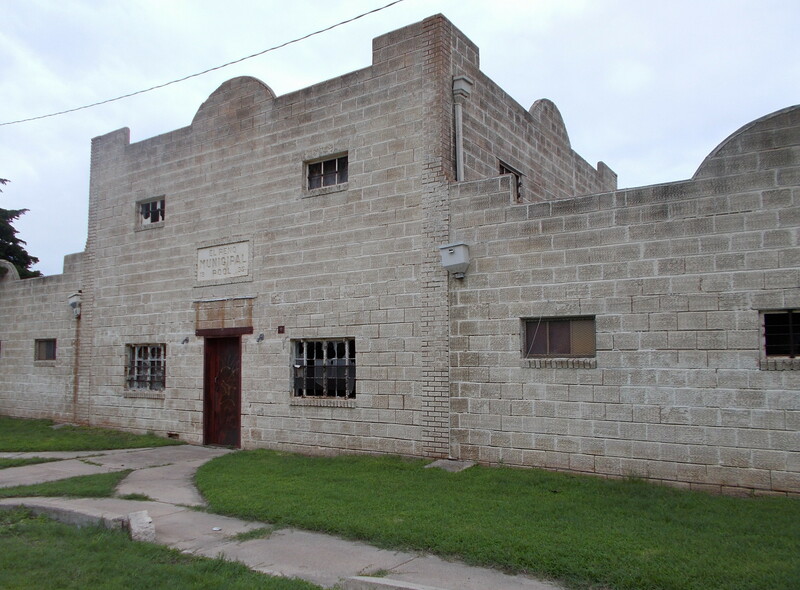 While the Bath House was not the focus of the project in 1935, today it is the only intact resource within the property. The pool has bee filled in with earth, in the interest of public safety. Nevertheless, the pool complex today appears much as it did in 1935. The pool’s concrete-walk surround remains, as do the posts for the diving boards and the steel ladders. Twenty concrete benches, and 5 sets of posts for other benches, also remain in place. 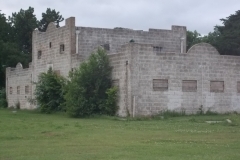 The swimming pool is no longer present, but the bath house is still standing. Dyer, Ray J. The El Reno Daily Tribune (El Reno, Okla.), Vol. 44, No. 39, Ed. 1 Sunday, June 2, 1935, newspaper,June 2, 1935; El Reno, Oklahoma. (gateway.okhistory.org/ark:/67531/metadc919241/m1/4/?q=El%20Reno%20Daily%20wpa: accessed March 3, 2019), The Gateway to Oklahoma History, gateway.okhistory.org; crediting Oklahoma Historical Society.